The Gro CRM Zapier integration and partnership enables the Gro CRM small business platform for Apple users to automate their Mac CRM workflows by connecting to more than 1000+ apps. The Gro CRM Zapier integration enables Apple small business users to connect to more than 1000+ apps. Gro Software today announced a Gro CRM partnership and integration with Zapier, a popular integration-platform-as-a-service (iPaaS) that connects to 1000+ apps, automates your work and increases productivity. Gro CRM is a remarkably easy to use and intelligent Mac CRM software platform for small business contact management, customer relationship management and enterprise resource management made exclusively for Apple users and their devices. With the Gro CRM Zapier integration, small businesses can connect and share information between Gro CRM and the apps they use most often such as Facebook Lead Ads, Slack, Quickbooks, Google Sheets, Google Docs & many more! "The launch of the Zapier and Gro CRM integration allows users to connect Gro CRM to 1000+ other apps and introduces countless automated workflows. Salespeople can now spend more time on personal follow up with their leads, and less time with manual data entry,” said Emily Breuninger, Partner Manager at Zapier. Creating integrations between apps can be expensive, developer intensive and time-consuming. 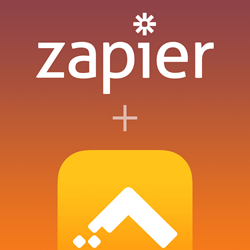 Zapier provides an easy web interface to create integrations between apps. These connections are called “Zaps”. A Zap is a blueprint for a task you want to do over and over. An example would be: you want your website leads to funnel into Gro CRM, you can use a Zap to automate this task. Zapier is easy automation for busy people. Zapier moves info between your web apps automatically, so you can focus on your most important work.